And making that tough job more difficult are obsolete or illegal construction methods and archaic wiring, even something as seemingly obscure as the absence of a nearby swimming pool. Vaughan has escaped the sort of devastating farmhouse fire that killed a pregnant woman and her seven children in Niagara Region in November, 2004, but the job of preventing fires in homes that old remains a challenge, even in the best of circumstances, Caruso said. For one, building codes and techniques have improved dramatically since many of these houses were built, he said, and that’s presupposing construction was done to whatever code was in effect at the time. Houses built with this balloon-type construction, as Caruso calls it, have nothing preventing fire from crawling up the inner cavities of walls, and that creates a chimney effect. A small fire originating in a basement could quickly spread to an attic, engulfing an entire home. Should the owner of one of these older houses want to renovate part of their home into a suitable rental apartment, Caruso said, regulations specify the owner must submit to a rigorous process of permit applications and home inspections to ensure at least a minimal level of fire safety is reached. “They have to apply for a permit in order to do any kind of a renovation to a home,” he said. “Once they do that, it starts the ball rolling, (then) a request for an inspection would come to us. 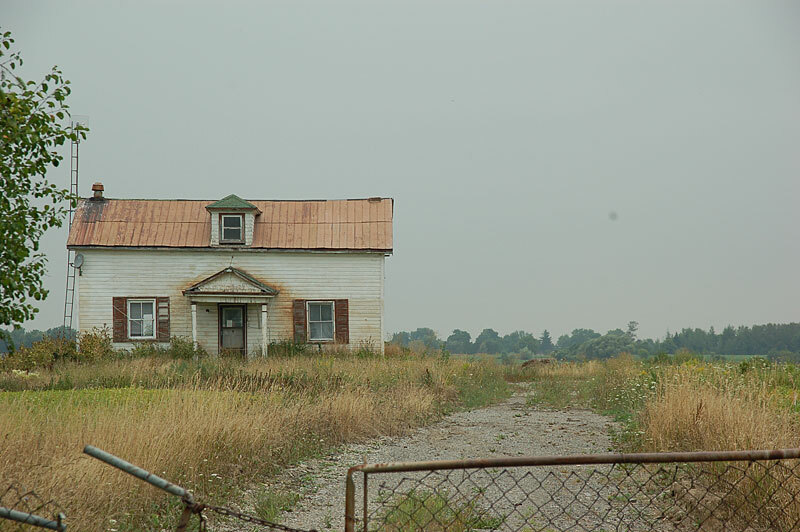 Determining whether a house conceals an improper addition or renovation within its walls without first entering the building is virtually impossible, prompting Vaughan Fire to rely on complaints from the public or information passed on to it by other city departments. And, Caruso said, in spite of the risks associated with sub-par construction in old farmhouses, the concerns of fire officials must be weighed against the rights of homeowners. “As far as the routine inspection of people’s homes is concerned, you can understand what the hue and cry would be if all of a sudden we started picking on all the farmers and started going after them about their homes,” he said. Old, obsolete and overloaded electrical systems in Vaughan’s farmhouses pose another hazard that concerns Caruso as fire prevention chief. If they haven’t been upgraded, that can create a potential fire situation. “It was commonplace (in the past) to put in a big fuse to protect a circuit because the smaller fuses would start tripping as they added more and more electrical appliances to it,” Caruso said. If shoddy or antiquated building techniques or inadequate wiring do spark a fire in one of these old farmhouses, Vaughan’s firefighters arriving on scene then face what Caruso considers their biggest challenge: the lack of a suitable water supply. “If there’s not a hydrant there, we have to truck the water with us,” Caruso said. “If there isn’t a pond or a pool or something there that we can take water from, you can imagine the difficulty we have when we have 100,000 gallons of fire and only 20 gallons of water to put it out with. The challenge posed by the laws of supply and demand is not one the fire department is willing to back away from. “We do have two tankers in the City of Vaughan that we utilize in a mutual aid agreement with surrounding fire departments that have tankers as well,” he said. “In Vaughan (we’ve been) approved under the insurance underwriters for what we call a Superior Tanker Shuttle Service. That means that we met the criteria of supplying at least 200 gallons a minute for, I think, three hours of time uninterrupted, which helps reduce some of the insurance costs for the citizens of Vaughan.